Buying a Series Two Lotus Exige is a lifelong ambition achieved for Quintin, so is ownership all it’s cracked up to be? 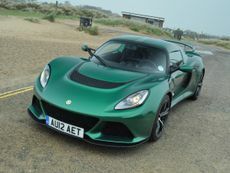 Read the Lotus Exige S (2013 - ) car review by Auto Trader's motoring experts, covering price, specification, running costs, practicality, safety and how it drives. 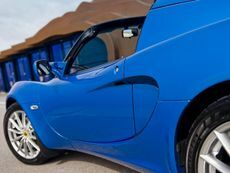 Read the Lotus Elise convertible (2000 - ) car review by Auto Trader's motoring experts, covering price, specification, running costs, practicality, safety and how it drives. Read the Lotus Evora coupe (2009 - ) car review by Auto Trader's motoring experts, covering price, specification, running costs, practicality, safety and how it drives.